In order to be eligible to file for a divorce in North Carolina, the parties involved must live separately and apart, with the intent of remaining this way, for the duration of at least one year prior to dissolution. In most cases, this requires the drafting of a separation agreement, which details how the couples’ will divide their property and other assets once they separate. 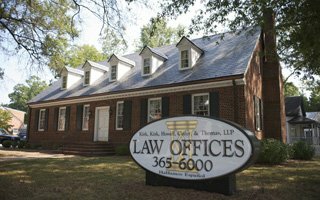 Whether you and your spouse have decided to separate in order to become eligible for a divorce or wish to peacefully close your divorce process with set terms, our Raleigh separation lawyers at Kirk, Kirk, Howell, Cutler & Thomas can help you negotiate the issues involved in your separation agreement. We will resolve as many issues as possible and individually help you achieve the most favorable outcomes. A separation agreement is a legally binding, notarized, written contract developed and signed by both parties which details how the issues associated with the separation and eventual divorce will be handled. The parties involved must already be separated, or intending to separate promptly after the separation agreement is signed, in order to form this agreement. Separation agreements are drafted through the negotiation of varying terms and conditions regarding the separation until an eventual agreement is reached. Generally, couples form this agreement to make their separation as smooth as possible as they prepare for a divorce. Other couples begin the process of drafting a separation agreement towards the end of their divorce to make the final split more peaceful. Before entering into this agreement, it is highly advised that you first consult with an attorney to ensure that you understand your rights and the NC separation laws to prevent unfavorable outcomes. While the separation laws between states vary, in North Carolina specifically, legal separation occurs when a married couple no longer resides together and have intentions of living apart permanently. This means that you are not legally separated if you live in the same household, intend to split only momentarily, or frequently go out in public with or visit with your spouse. Instead, the couples must reside under separate roofs in separate locations. A separation agreement nor the filing of any other documents are required to be legally separated. 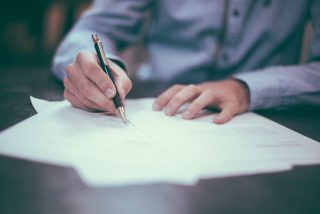 Drafting a separation agreement saves both parties stress, time, and money, as divorce-related issues, such as child custody, alimony and property division, can then be peacefully resolved without litigation. Going through a court to resolve conflict involves a much longer period of time, increased levels of stress, and significantly higher expenses than an amicable negotiation. On the other hand, nearly all of a couple’s legal separation and divorce issues can be resolved during the process of forming a separation agreement, which allows for less stress, saved time and money, and only the actual divorce itself to be of concern. Furthermore, separation agreements allow for couples to determine their own outcomes, as a judge will determine these outcomes him or herself if a separation agreement is not in place. Ultimately, separation agreements allow for the private, effective, less stressful, and less costly resolution of conflict, which promotes a less problematic, peaceful separation. What Does a Separation Agreement Involve? Marital residence. If the parties’ house is jointly owned, these terms detail who will be granted ownership, whether or not the house will be sold, what price could be paid to one spouse in exchange for the property from the other spouse, and other similar considerations. Personal property. If the parties opt out of dividing their assets through equitable distribution, they can include who will receive what personal property in their separation agreement. These terms often account for both tangible property, such as furniture, electronics, and cars, and intangible property, such as stocks, bonds, and savings accounts. Child custody and child support. If children are involved, many couples include a child custody and child support plan within their separation agreement. This element often establishes guidelines regarding physical and legal custody of the child(ren), visitation rights and schedules, the amount of child support and penalties when this payment fails to be paid in a timely manner, and other similar matters. These terms can be as broad or as specific as the parties’ desire. For example, the agreement can even address whom the child(ren) will spend the holidays or vacations with and other more specific matters. However, these terms can be altered if deemed by a court to not serve the child’s best interest. Debt distribution. Separation agreements commonly list who will be held liable for paying what future or current debts. Alimony. If applicable in the individual situation, most separation agreements include an arrangement for alimony. Both parties will agree upon matters like whether the alimony will be paid on a regular basis or in a lump sum, the amount of the payment(s), date it should be paid, the ramifications of an untimely payment, and when the alimony arrangement will end. If you and your spouse are unable to reach an agreement on a particular matter, such as property division or alimony, this matter(s) will be settled by a judge through court action. Do I Need an Attorney to Handle My Separation Agreement? While some married couples can handle their separation agreements themselves and only seek the help of an attorney to actually draft the legal agreement, most couples need individual attorneys to do so for them. In fact, due to all of the numerous, legal components involved in a separation agreement, seeking assistance from an attorney before entering into this binding contact is highly advised. Having an attorney will ensure that you understand your rights, that all conflict is resolved as peacefully and ideally as possible, that you are not taken advantage of, and that you receive the outcomes that are as beneficial as possible for you personally. For Assistance with Your Settlement Negotiations, Contact Our Raleigh Separation Lawyers. It is important to know that you do not have to handle your separation agreement alone. Once entered into, this agreement is legally binding, meaning you want to ensure that the terms listed are as beneficial as possible for both you and your children. That is why the lawyers at our Raleigh family law firm are here to help. With over 60 years of experience, our team understands all legal components involved in a separation agreement and the NC separation laws, meaning we can ensure that the terms settled upon are in your best interest. Don’t try to handle your separation agreement alone, contact our team today. Give us a call at (919) 615-2473 or complete the online contact form below. We will get back to you as soon as possible.